The inventor of the well renowned Fibreglas Telescope Towers, Walter Spieth (DK9SQ) has decided to close his business DK9SQ Funktechnik after more than 30 years of active duty. His well known products (masts, SQ Vertcal, SQ Loop) will still be availabkle - we will continue to produce these fine antennas. In conbination with the Fibreglas Telescope Tower very fast to install antenna for 80 to 10m. Tightly sealed connection box with PL socket and ground spear, the band switching is done with connectors integrated into the antenna wire. Includes telescope for fine tuning. Shipment includes the horizontal bar, but not the fibreglas tower itself. Very small transport size, weight only 1kg. Max power. 300W PEP SSB or CW. Requires ground radial network (not included). 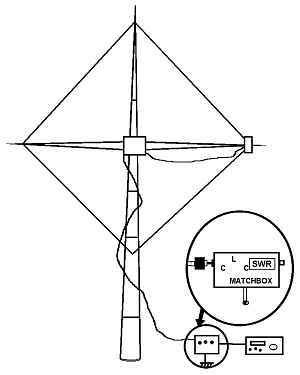 Note: For construction of these antennas please use only the original Spieth Fibreglas Telescope Tower, do not use our low cost versions. 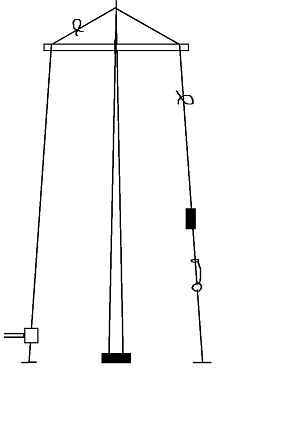 The low cost masts do not have the reinforcement rings at the telescope elements, but these are required for proper installation. A portable quad loop for 10 to 40m, also to be installed on a Fibreglas Telescope Tower (not included). Setup in 5 minutes. The loop diameter is approx. 8m. Ideal for vacation or fieldday situations, works as a loop on 10 to 30m, folded dipole on 40m, bi-square on 10m, or as wideband vertical on 10 to 80m (even 160m). Band switching is done with connectors integrated into the antenna wire. Includes balun with PL connector for coax feed. Max. power load is approx. 300W SSB PEP or CW. Requires a matchbox for operation (not included).